You also include your TrueType font file inside your APK using the Delphi Deployment functionality. Add the TTF file to your Deployment and change the directory to: .\assets\internal\ One gotcha that you have to watch out for is that you must use the actual name of the font file minus the .ttf in the Font Family property in Delphi. Using the name of the font and not the filename will not work and remember Java is case sensitive (and so are the filenames). Copy FMX.FontGlyphs.Android to your project folder. The instructions are originally from two different blogs in Chinese here and here. 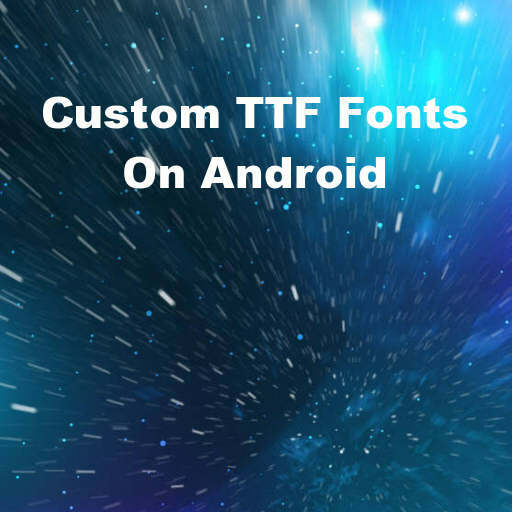 Head over and read the full forum thread on the Embarcadero site on using a custom font in Delphi Firemonkey on Android.